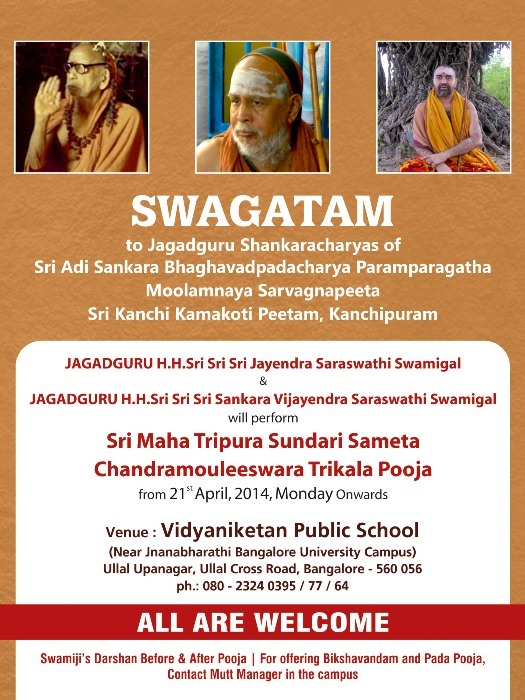 Ganga Jal will be distributed as Theertha Prasadam. A special programme in which renowned musicians and Sanskrit Teachers will interact on Deekshitar Kirtis. The morning poojas will start around 9:00 am and evening pooja around 7:00 PM. Devotees can offer Bikshavandanam and Pada Poojas.